Stirring a cocktail is not Rocket Science, but it take a bit of practice. Your goal is to quickly and efficiently chill the drink without getting it on your shirt! 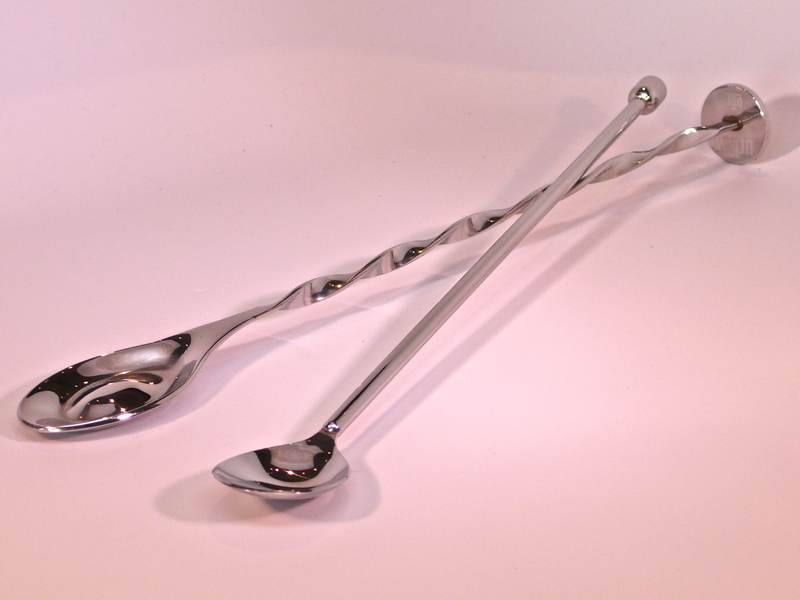 Choose a long well-balanced spoon. 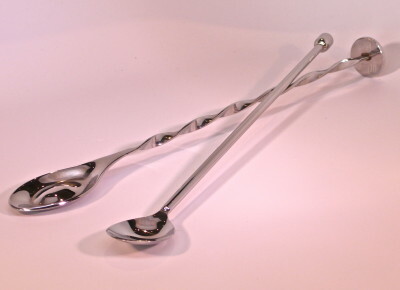 Place the back of the spoon against the inside of your mixing glass and stir quickly in one direction, twisting the spoon in your fingers as you go, so as to keep the curved-part of the spoon flush with the glass.